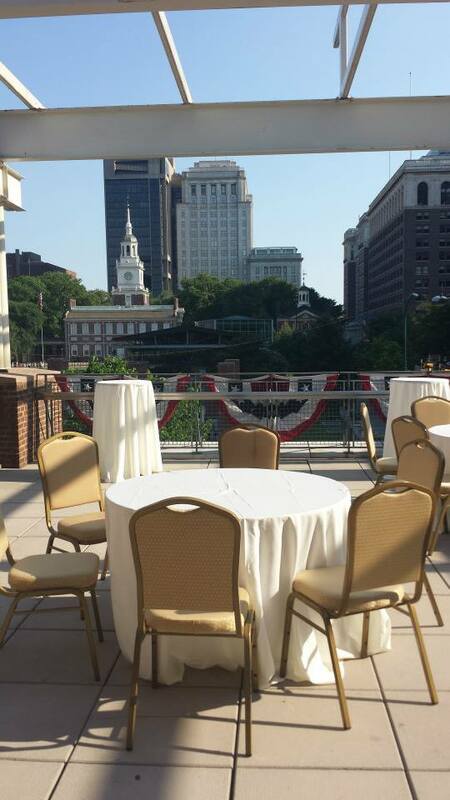 On Monday, June 16, the 2014 PPRA Annual Meeting was held in the Liberty View Ballroom at the Independence Visitors Center. After remarks from CBS3’s Erika von Tiehl, PPRA members had the chance to say thank you to our outgoing president, Bonnie Grant, and induct our incoming president, Lisette Bralow. Another order of business was to vote in PPRA’s new Board of Governors. We also honored our Fast Track and Dr. Jean Brodey award winners. Brittany Tatum, who recently graduated from Stockton College in New Jersey, received the Brodey Award. 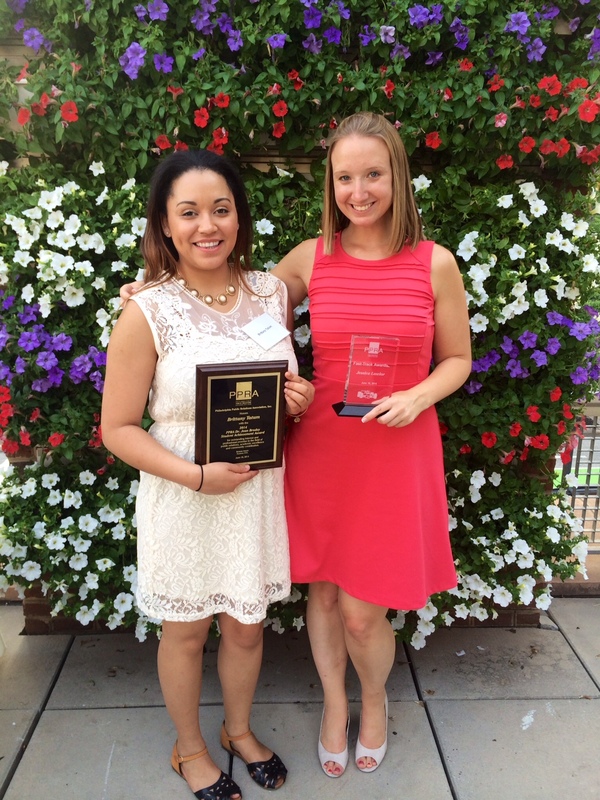 Jessica Lawlor, communications manager at Visit Bucks County, took home the President’s Fast Track Award. Thank you to the Independence Visitors Center and Brûlée Catering for hosting the event and providing the tasty food. For more images from the 2014 PPRA Annual meeting, you can check out our new Facebook album. Be sure to keep an eye out for more information on what PPRA has in store for the upcoming year! This entry was posted in Events and tagged Annual Meeting, Philadelphia, Philly, PPRA, PR, Public Relations by pprablog. Bookmark the permalink.